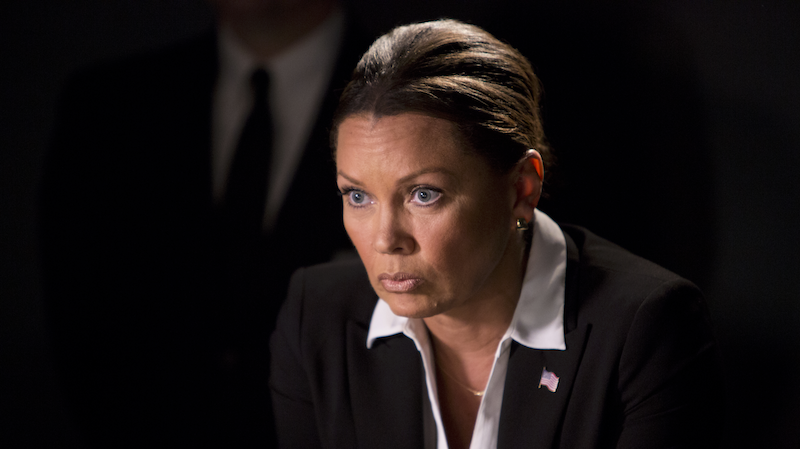 Our heroes at The Librarians may have taken on the greats of Arthurian legend and the wiliest of literature’s villains, but Vanessa Williams’ General Cynthia Rockwell is honestly the scariest. After all, what’s magic compared to government backing? Rockwell will be the head of The Department of Statistical Anomalies, a.k.a. “D.O.S.A.” As is traditional in these kinds of shows, D.O.S.A. is super-top secret and magically-oriented. With Rockwell in charge, D.O.S.A.’s mission is to apprehend the Librarians and get the Library’s artifacts in the hands of the U.S. government. Where we’re sure they will be in totally safe hands. The Librarians season three premiere, “And the Rise of Chaos,” will air November 20.